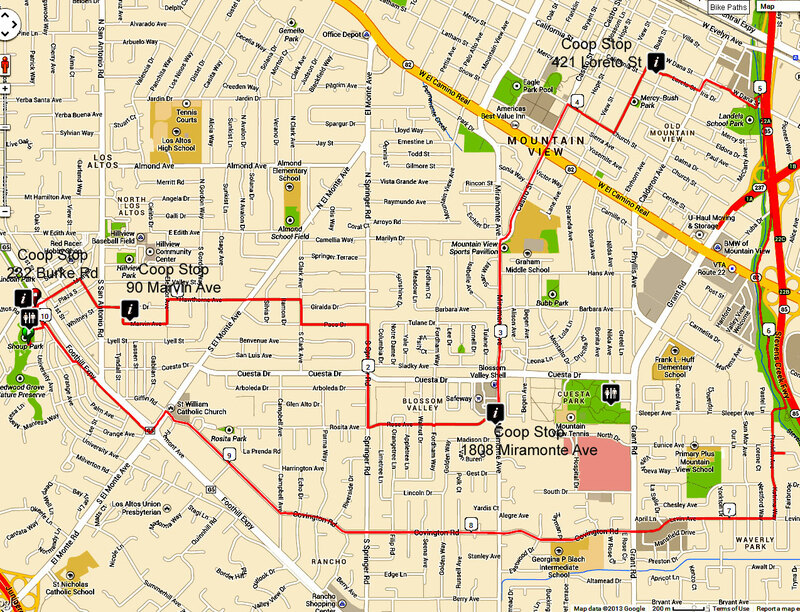 This tour is a flat 10.1 miles and 4 coops and includes the scenic Steven’s creek trail for a large portion of the route. It starts at Shoup Park in Los Altos (400 University Avenue; Los Altos, CA 94022) where there are restrooms and water and a nice place for a picnic. Click on the map below and print just the one map with your browser print option and download and print the cue sheet PDF and have fun.